Some companies rely on the web and search specifically, enough to warrant full time or part time SEO staff. However, what often happens with in-house SEOs is that they become tasked with many other responsibilities besides content optimization, link building and ongoing analysis. 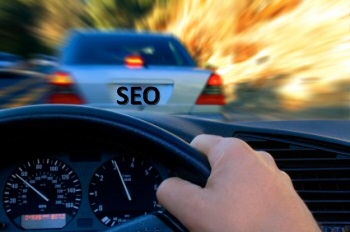 Educating and evangelizing SEO within companies can take a significant amount of time. Coordinating cross functional teams and reporting can also take away from core SEO implementation and oversight efforts. With so much time spent on SEO tasks as well as ancillary activities, there’s not much time for experimentation and testing of new tactics. Without innovation, competitive advantage decreases and search based revenues can fall to competitors. Other companies forego hiring an internal SEO professional and either task web developers, marketing and/or PR with SEO tasks. Each person performs their duties based on a different snapshot of SEO knowledge and experience, causing differences in implementation or a focus on things that are no longer impactful. This is where you hear arguments about the importance of toolbar PageRank, keyword meta tags and latent semantic indexing silliness. Hell, some people still bring up “Florida Update“. I hate to say it, but hiring an outside SEO firm is not always the answer either. Some SEO consultants are structured to follow established processes with their own snapshot of SEO knowledge. Being accountable to increasing revenues puts an emphasis on efficiency and automating as many redundant processes as possible. Some SEO companies develop software for much of their solution to improve efficiency and ability to scale. The problem with relying entirely on software based solutions to solve SEO problems is that it’s tough to innovate and stay current when your SEO expertise is based mostly on predefined checklists. Round pegs into round holes is great, but how do those programs deal with square pegs, triangles, rhombuses and trapezoids akin to some of the algorithmic, user interface and social media developments? The focus on efficiency and profitablity leaves little time to innovate SEO knowledge, at least not quickly. The solution to staying current with search marketing isn’t a magic pill or silver bullet software solution. It’s not adding more SEO staff in-house or outside vendors. The answer is organizational and strategic. The environment in which a company web site serves as a tool to grow the business via new customer acquisition, product sales, lead generation, communicating with existing customers, marketing partners, the media, potential employees and industry influentials must allocate time for and reward innovation. A common and shared purpose and goal that is understood by all in the organization that is then translated uniquely to each department and person helps build a framework for the kind of innovation that not only affects SEO, but marketing, customer service, media relations and human resources. Call it content strategy or just call it marketing, but don’t ignore the need for a holistic approach to making digital content available and easy for intended audiences to discover, interact with and share. SEO of digital assets and text content improves sales for marketing, reduces customer service costs, can increase media coverage with news content and can improve job placement performance, among many other benefits. As I like to say, “If it can be searched on, it can be optimized”. People are searching for products, solutions, jobs, support info, news – you name it, it’s being searched on. The key is to leverage internal and external resources towards commonly understood goals, having a plan and the tools/support/education to execute on reaching those goals as well as the analytics/reporting to provide feedback on progress. It’s not enough to easily be found, web marketers need to understand how to make their content social media friendly just as they would make it search engine friendly. Consumers increasingly expect to interact with what they find in search. The impact of search and social media on each other is just beginning. Continuous focus on improvement on content marketing efforts leads to testing and innovation that creates an ongoing competitive advantage whether it’s search, social media or any other digital marketing channel. The question is, are companies and agencies willing to invest in making those strategic changes or will they be satisfied with status quo snapshots of old and possibly outdated (yet seemingly safe) tactics? You are right in this post, SEO is one of the most easily “out of dated” fields and the number of client side agencies offering suggestions that are either outdated or even downright harmful are staggering. I have been called in to fix penalties that were created from 5 or 6 year-old snapshots. I suppose in the same way that web developers/designers keep good SEOs busy, so do marketers relying on outdated SEO info. Lee – this is spot on. To many times we encounter agencies and clients using outdated techniques. I must get a dozen email a week from clients referencing some forum post from 1998 without the slightest idea of how current or relevant it still is. Thanks Bill. A comment like that from you is sincerely appreciated. There us certainly the larger issue of process and the maturity of an organization’s approach to marketing with content. So many marketing decisions are fragmented and tactical, it’s a challenge to see anything through without making corporate culture changes. Just think how many corporate marketers focus their efforts on “putting out fires” rather than developing and implementing proper content marketing strategy. Search is constantly changing. There is a local company still selling directory submissions and Google submissions as a service for $495! To Bill’s point: I think that SEO is about so much more than it was even twelve months ago. It must be a continually monitored and adjusted process. And I mean process, structured with methodology and measurement. Sifting through the bull alone is a challenge enough! The experiences that you mention of references to 1998 forum posts has been my experience, the web is huge, how can new entrants possibly find the right information when they get started with their new web businesses? I agree with you Alexander. The other day I was in a meeting and someone said that a company was charging him £300 a month for page 1 rankings for two terms that receive hardly any searches. Where does this situation leave the customer? They rely on what the SEO companies tell them. For many small to mid-sized companies, their website still is smoke and mirrors and it tends to remain a static element. How can the customer be assured that their vendor is engaged in best practices? That’s a great question Babette and it comes down to the need for the SEO consulting engagement to include ongoing audits, testing and training. The results achieved and campaign status reported to the client should be a clear signal the SEO agency us current. Ongoing communications should include strategic and tactical recommendations as well as industry insights and training. Well put Lee. I couldn’t agree more. Taking a snap shot of anything to base marketing efforts off of is dangerous, on and off line. I think a bit part of the issue at hand here is on the agency side too. How many clients have hired you (I don’t mean top rank, I mean any agency) for a site or initial ‘optimization’ then end up left alone without continued education, relationship building, and instruction on the importance of evolving with an audience rather than expecting them to evolve with you? When this happens for a significant amount of time before the agency calls up the client suggesting SEO, you’re going to have a significantly more difficult time justifying value of the service if you couldn’t recognize the value of the client first. That’s a great point Levi. You’re talking about SEO audits and I don’t like to do them for the reasons you’ve mentioned. SEO is not a one time event. Clientts should expect and consultants should deliver ongoing expertise and website marketing services. Agencies should be proactive with SEO recommendations. That also means clients need to forecast SEO as an ongoing cost not a project like web design. An SEO-optimized website can be a powerful tool. Like a high-performance car, there needs to be driver education and a commitment from the customer to drive that car on a regular basis – with ongoing coaching from the vendor. Too often, agencies retrofit a website with an SEO veneer, sort of like putting aluminum siding on a brick house badly in need of tuck-pointing. That, to me, is not SEO at all. Vendors need to set, and manage, expectations. In providing this value to their customers they ensure that they are current and engaging in best practices. I agree that SEO is an ongoing learning process. I actually do a lot of SEO for our e-commerce clients and it is a process that I feel will never be conquered do to the on going changes in SEO, however it is a must in any e-commerce site and is something that can be mastered if practiced well and often. That is the problem. A good SEO person is not only technical but also a good marketeer that is consistently educating themselves on various techniques. This is a fast moving industry that is still very young and will go through many more changes before things settle. As SEO is always changing and evolving, its important that you keep up to date with the latest goings on so you can provide your customers with the best SEO service. SEO has become so entangled that the average site for small business is getting left out in the cold. SEO is getting to be as confusing as the IRS tax codes. Cutting Edge small companies are turning to predictable news letter and monthly ezine marketing strategies where quality info is forwarded to and through industry associates. Hits are not the only answer to customer base growth.